Mexico has received its newest Cuban Regional Edition cigar, and it isn’t an Edmundo Dantes—it’s a Punch. 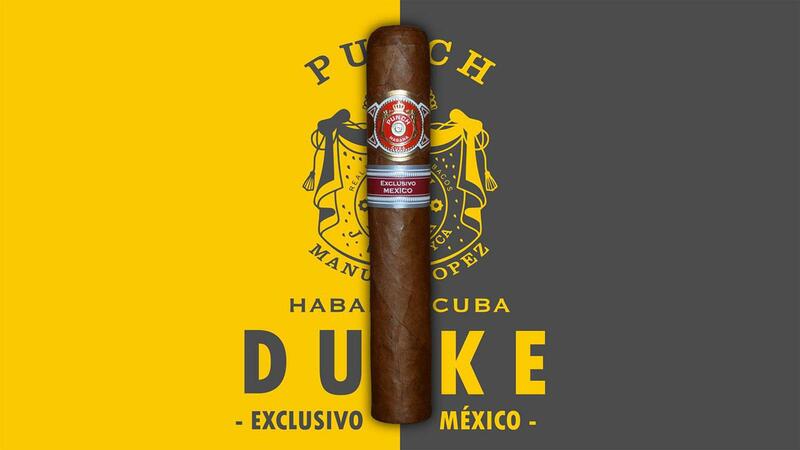 The hefty Punch Duke has arrived, and it’s the first time a Mexican Regional release is anything other than an Edmundo Dantes. Measuring 5 1/2 inches by 54 ring gauge, the Punch Duke comes packaged in wooden, 10-count boxes and retails for 660 Mexican pesos each (about $35). Only 6,000 boxes have been produced. This marks the fourth Regional Edition cigar for Mexico. The first Mexican Regional came out in 2007 as the Edmundo Dantes El Conde 109. It was the first time anyone had seen the Edmundo Dantes brand, which was created especially for Mexico. The second Regional was released in 2011: the Edmundo Dantes Conde 54. Then, in 2016, Mexico offered the Edmundo Dantes Conde Belicoso. All three sizes have scored exceptionally well in Cigar Aficionado and Cigar Insider blind taste tests, with scores of 91 to 93 points. The colors of the Edmundo Dantes band were very similar to Montecristo’s, and the name is even a reference to the title character from the novel The Count of Monte Cristo. Whether or not we’ll see Edmundo Dantes again is uncertain, however, it should be noted that Edmundo Dantes was its own blend and not that of the Montecristo brand, despite appearances. The new Punch Duke is the same size as the Partagás Serie E No. 2 and the Cuban Bolivar Soberano Edición Limitada 2018. All three are classified as Dukes in Cuban cigar factories. For a rating on Mexico’s newest Regional, see an upcoming issue of Cigar Insider.